Craig Mirambell has been selected amongst a small group of Real Estate professionals by RISMedia, a Real Estate industry news outlet, as one of their 2019 Newsmakers in the Achiever category. This is an incredible and high honor, as Craig is being selected amongst Real Estate professionally on a national level. Craig was selected from thousands of nominations for this award. He, along with the rest of 2019 Class of Newsmakers, were selected for their influential contributions to the industry of Real Estate. Members of the 2019 Newsmakers class were selected based on their influence in advancing the Real Estate industry, their impacting change on the industry, their technological achievements, their diversity and humanitarian efforts, and for making headlines throughout their career. The 2019 Class of Newsmakers were divided into several categories. Craig was selected as a member of the Achievers categories, being honored for his successes and achievement in the Real Estate industry. 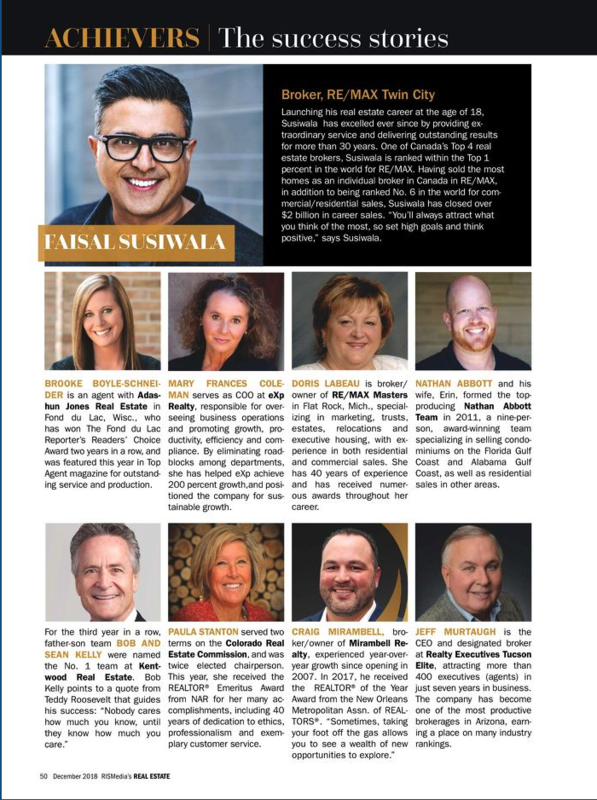 The RISMedia's 2019 Class of Newsmakers are considered the leaders and icons within the industry. They are considered to be the ones breaking the molds within the industry and making a difference. Craig Mirambell can be seen as a member of this years class on both the RISMedia website and in their December 2018 print issue. This is truly an illustrious class for Craig Mirambell to join. Congratulations to Craig Mirambell, RISMedia 2019 Newsmaker- Achiever.